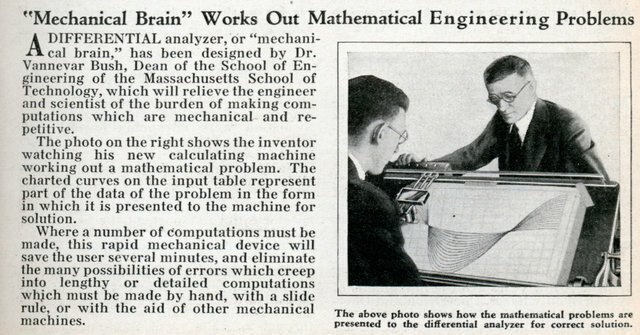 A DIFFERENTIAL analyzer, or “mechanical brain,” has been designed by Dr. Vannevar Bush, Dean of the School of Engineering of the Massachusetts School of Technology, which will relieve the engineer and scientist of the burden of making computations which are mechanical and repetitive. The photo on the right shows the inventor watching his new calculating machine working out a mathematical problem. The charted curves on the input table represent part of the data of the problem in the form in which it is presented to the machine for solution. 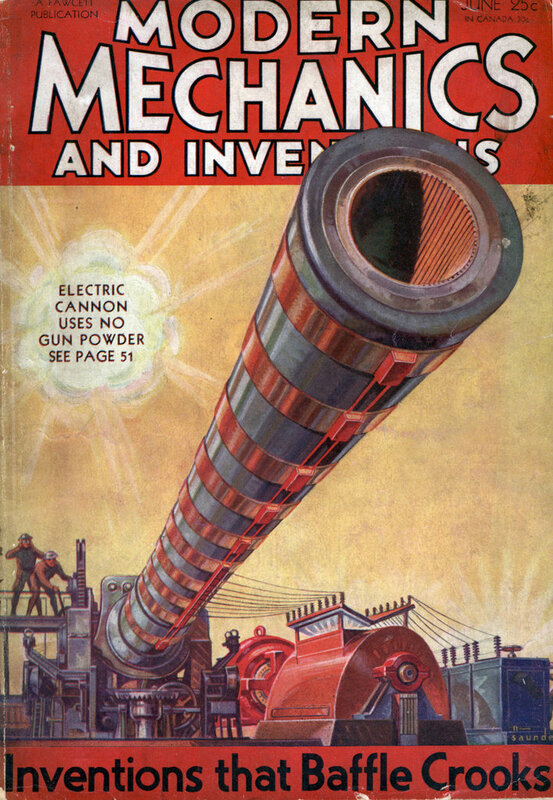 Where a number of Computations must be made, this rapid mechanical device will save the user several minutes, and eliminate the many possibilities of errors which creep into lengthy or detailed computations which must be made by hand, with a slide rule, or with the aid of other mechanical machines. I have a soft spot in my heart (head) for DAs.